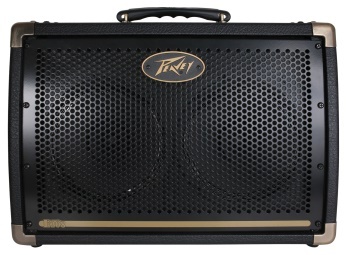 The Peavey Ecoustic E208 30W 2x8 acoustic combo amp is rated at 30 watts, and has a compact, lightweight design that makes it perfect for rehearsals. The Ecoustic 208 acoustic amp features a built-in analog chorus and reverb, and includes headphone outputs for quiet practicing. Peavey Ecoustic amplifiers are highly versatile amplification systems designed for acoustic instruments, vocals and line-level devices such as samplers and audio players in performance and rehearsal applications.